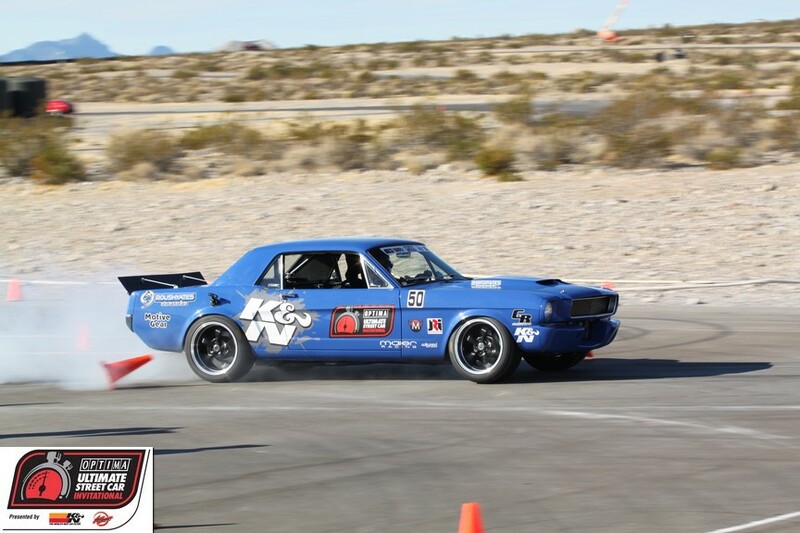 There are a lot of ways someone can get into the field for the OPTIMA Ultimate Street Car Invitational, presented by Royal Purple and KN Filters, but Rick Hoback knew his best odds were at an OPTIMA qualifying event. With that in mind, Hoback went into the Nevada desert to compete in the Silver State Classic Challenge Open Road Race in his 2007 BMW M6, eventually receiving an invite to the 2013 OUSCI. OUSCI preparation is often a matter of perspective. Someone like golden ticket invitee, Joe Delgado would've loved to have even a week's advanced notice, so he could avoid swapping turbos in his Toyota Supra while the car was parked in the SEMA Show. Hoback had six weeks to prepare, but wished he had even more. A big challenge for Rick was that he was in Ohio and the M6 stayed out West after it received the invitation. Hoback attempted to make the most of his time, flying out on three different occassions to work on the car and test the changes. As a result, he was a little disappointed with his performance in the event. Just two days prior to the start of the SEMA Show, the BMW's driveshaft blew up, which Rick tells us was not an easy part to find on short notice. They were able to get some dyno tuning in just before that happened and managed to coax more than 500 horsepower out of the BMW's big V-10. Rick's battery also discharged during the week, as he used it as his home base during SEMA and wasn't able to maintain the battery while it was on display. Aside from keeping his battery topped off during SEMA, Hoback tells us his only regret might be how conservatively he drove the car in the timed events. "I didn't want to be that guy and not finish," said Hoback. "I just wanted to keep the car on the track for the sponsors. I knew I was going to finish mid-pack by doing so, I just don't like seeing it in print." Hoback did better than mid-pack, narrowly missing a top-20 finish in the BFGoodrich Hot Lap Challenge by just over a half second to Randy Johnson's 1973 Camaro. It was a similar margin for Hoback on the Wilwood Speed Stop Challenge, where he finished just .66 seconds out of a top-20 scoring position. 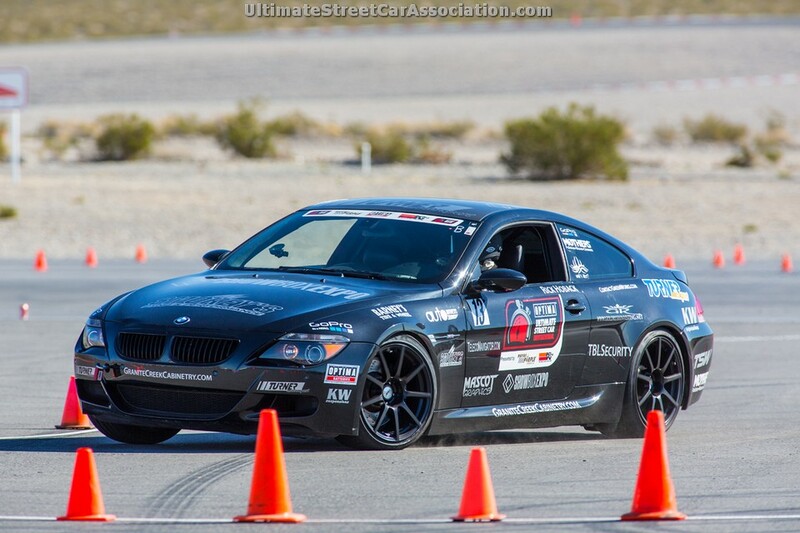 Rick also notched a top-40 finish in the RideTech Autocross, even though he wasn't pushing the BMW to 10/10ths. Hoback was amazed at the quality of all the cars in the OUSCI field and couldn't pick a favorite. "They were all impressive," said Rick. "Anyone that gets an invite to this prestigious event has to be something special." Rick was surprised with how smoothly the event ran, especially how quickly they were able to get cameras in and out of cars. As for advice for future competitors, Hoback was fairly-straightforward in his thoughts- "Bring 300 more horsepower than you think you need, put on the widest tires you can, then add an inch and don't waste money on brakes." Rick was only half-joking about that last comment, suggesting if you are using your brakes too much, you'll be going too slow to be competitive. 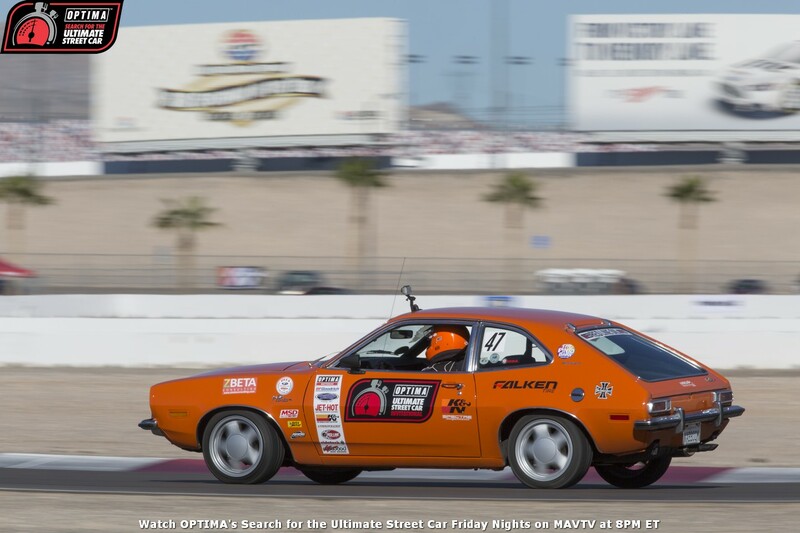 Hoback had a great time at the OUSCI and plans to compete in Ultimate Street Car Association events in 2014, in the hopes of finding his way back to SEMA and Pahrump. Rick even hinted that he has big plans for his engine, which he hopes will bring him under consideration for future OUSCI competitions. We can't wait to see how it turns out!